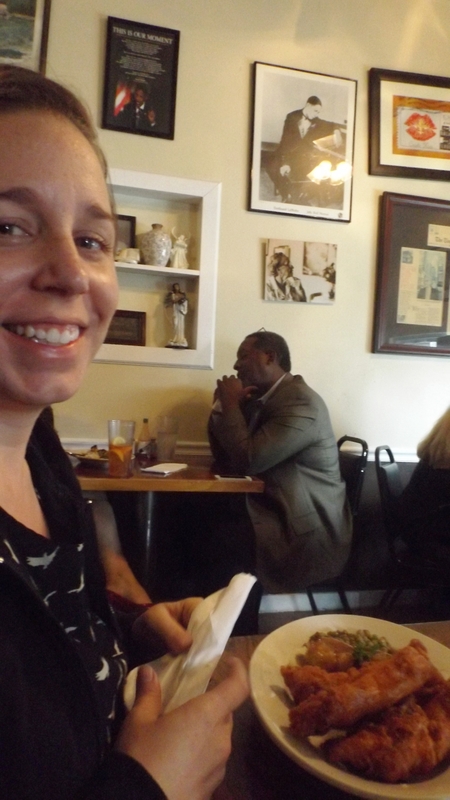 Kat and I, along with daughter Stephanie, had a soul food lunch at Willie Mae’s Scotch House. 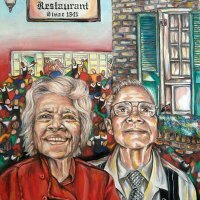 I’ve wanted to eat there for years, but due to its Treme location and since they’re only open for lunch, it’s been an elusive date. 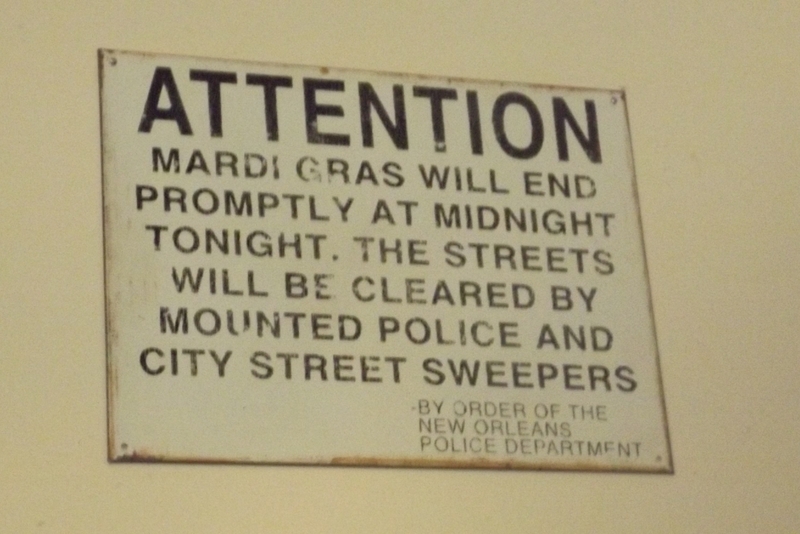 But with most of our rig repairs complete, and with our weeks in the New Orleans area winding down, the time finally came. Scotch House opened for business in the 1940’s as a neighborhood bar. 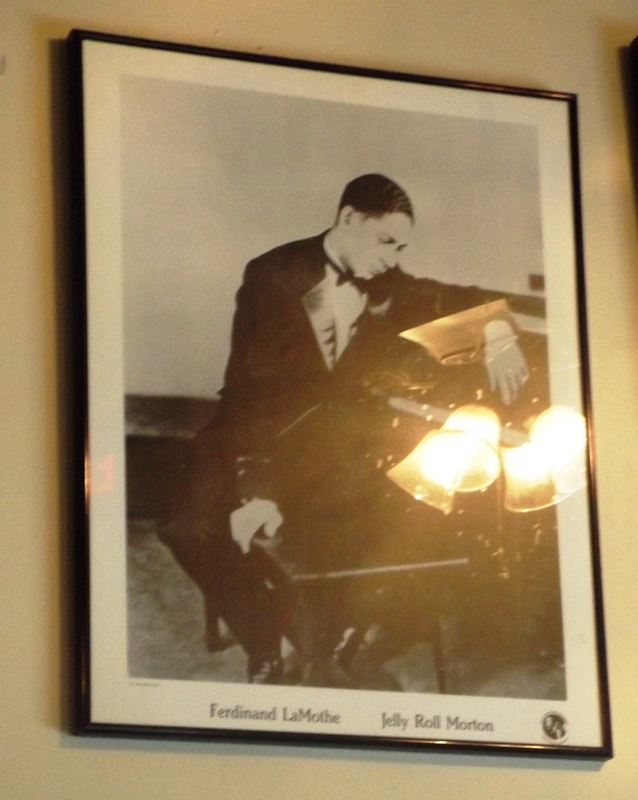 Willie Mae Seaton bought it in 1956, still as a bar. Over the years her bar patrons – who couldn’t miss the smells from her home kitchen next door – insisted she add a restaurant operation. 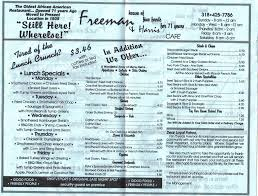 In 1972 the barbershop sharing the building closed, and Ms. Seaton added that space to open her restaurant. Somewhere along the line they dropped their beer and liquor license to focus on food. 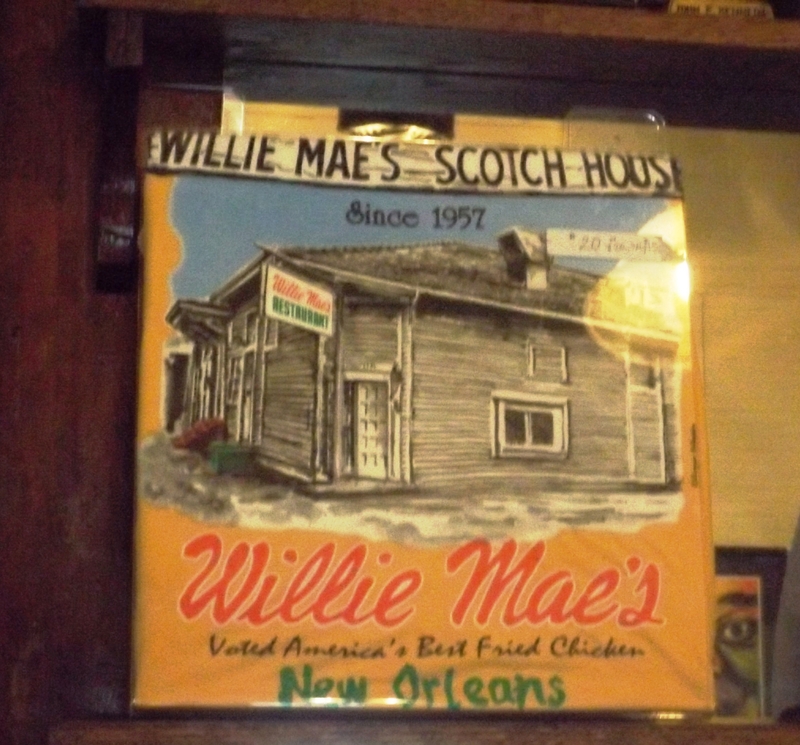 The restaurant won a James Beard award in 2005, when Willie Mae was in her 80’s. Months later Katrina drowned New Orleans while flooding the building. Friends of the restaurant and chefs from all over rounded up $200,000 to rebuild. One year later, she reopened with a great grand-daughter, Kerry Seaton, serving as chef. The neighborhood is impoverished and ancient. It’s safe enough in daylight, perhaps explaining why they don’t offer dinner. The building is clean inside and out, and decorated in NOLA neighborhood cafe style, with old signs, old pictures, reproductions of locally themed art, and tables as close together as church pews. 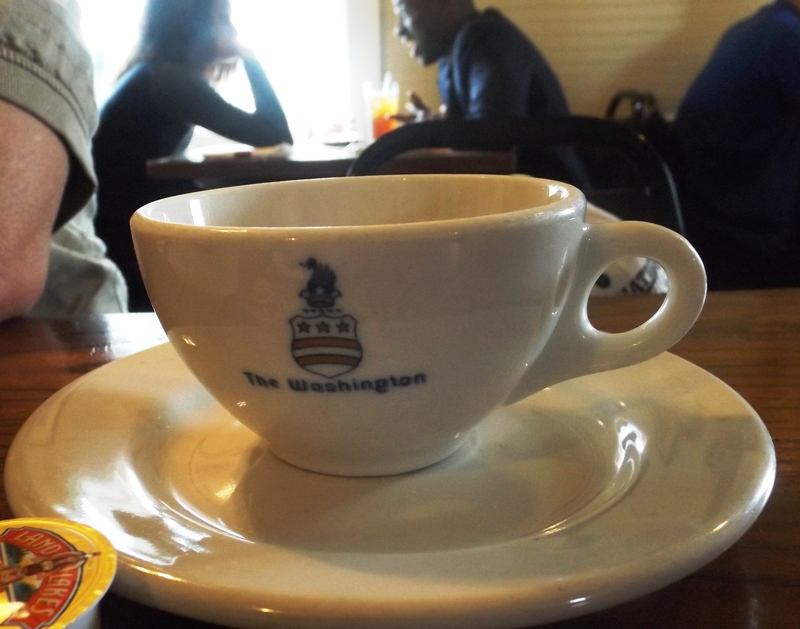 The service is jovial, if occasionally forgetful (my cornbread never arrived, and the coffee cup was filled long after the bread pudding that came with it had disappeared). 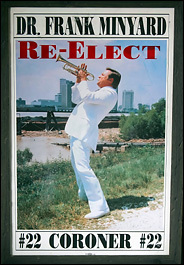 10 Term Coroner Frank Minyard: Reputedly Better Politician Than Cornetist! The food was very good. Stephanie prefers Zaxby’s chicken fingers but agrees Willie Mae’s are top-notch. I forgot to request white meat – but I love wings and thighs, if not drumsticks – so my fried, bone-in pieces were a fair test. They were superb, if perhaps short of America’s best. 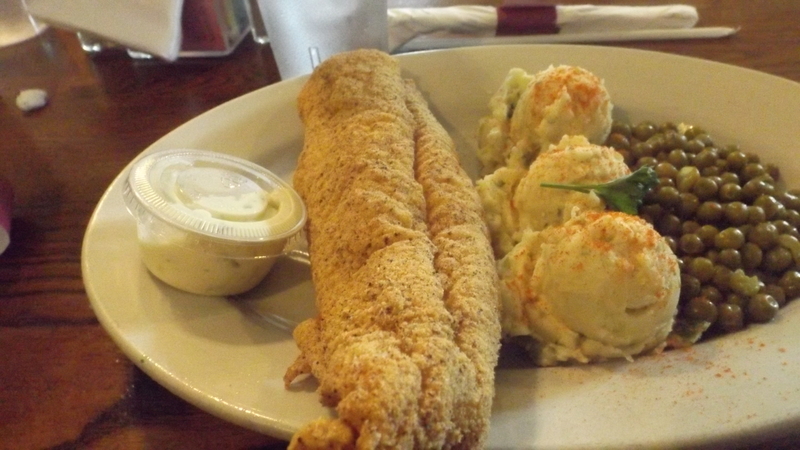 Kat is a fan of their catfish; anything the House serves fried will be excellent. But except for the superb red beans, the sides need work. Nobody tried butter beans, but the potato salad, the English peas, and the fries were just basic New Orleans staple foods. 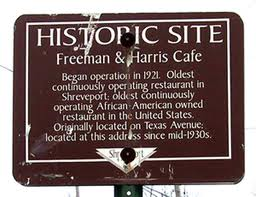 I was disappointed that there were no collard or turnip greens on the menu, but Freeman and Harris in Shreveport spoiled me for soul food sides decades ago. We won’t go there again, but I’m grateful for this experience. 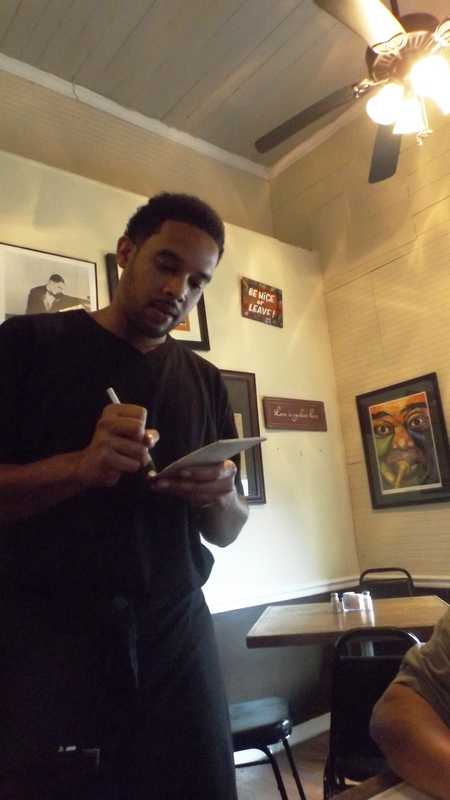 Now I’m curious about Dooky Chase, a nearby competitor with a broader menu. Maybe they have greens and cornbread. Maybe we’ll go there next year.